LatinaLista — Sometimes it’s the most heart-wrenching sight that inspires great ideas to not only be born but put into action. That was what happened to Mary K. Hoodhood in Grand Rapids, Michigan in 2003. She saw several children dumpster diving behind a school. She asked them what they were doing and they replied with three words: looking for food. The more she asked, the more she heard a story that she couldn’t believe existed in the United States — children going hungry. 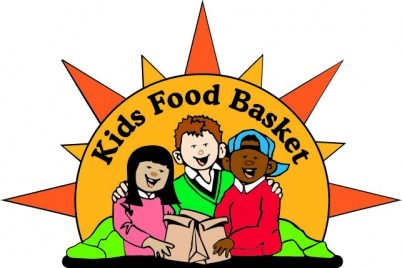 It wasn’t long before she started a program called Kids’ Food Basket where Hoodhood put together nutritious meals in paper sacks and delivered 125 sack suppers to children at three sites. 2013 marks the ten-year anniversary of Hoodhood’s idea. In that time, she and her team have gone from delivering 125 sack suppers to feeding over 5,000 children at 36 schools in the greater Grand Rapids area. Sack suppers give children from low-income families the comfort of knowing that lunch at school won’t be their last meal of the day. Packed away in the sacks, children find: One serving each of fresh fruit and vegetables; meat/cheese sandwich; 100% fruit juice box; granola bar; a healthy snack and a snack pack (on Fridays, for weekend nutrition). The food for the sack suppers come from an area food bank and donations to the organization. 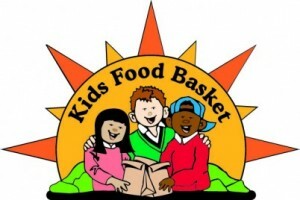 Since July 1, 2012, Kids’ Food Basket has delivered 495,060 sack suppers. Childhood hunger denies dignity, robs kids of their energy, and undermines our community’s stability.